for $640,000 with 4 bedrooms and 4 full baths, 1 half bath. This 3,067 square foot home was built in 2000 on a lot size of 0.2700 Acre(s). Price Reduced! $ 209 per sq. ft. Sellers are ready to sell. Already moved to new home in San Diego and will consider all offers. 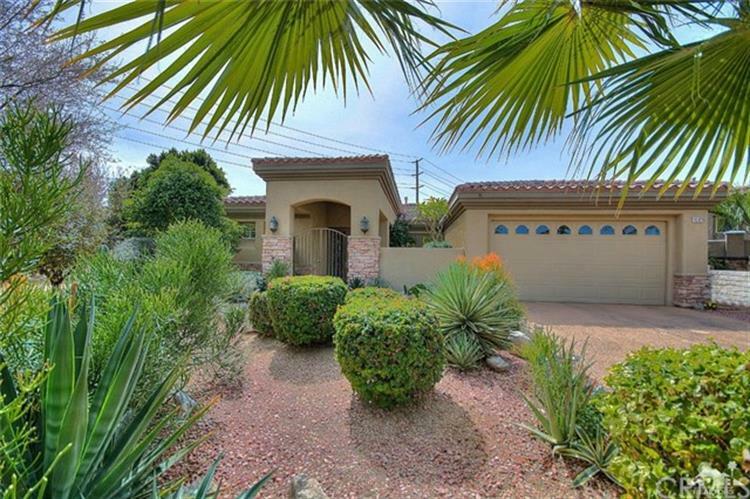 NO HOA dues on this home. Plus closing assistance on this professionally designed luxury family home. Pebble decking leads to secluded detached Casita beyond the pool with a full bathroom giving guests complete privacy. Gorgeous mountain views from a huge patio overlooking the pool and views continue from a separate shaded side patio with plenty of privacy. Formal dining room opening to the atrium. Gourmet kitchen features granite counters, Jenn Air stovetop and double oven. Kitchen is open to family/living area with custom built in cabinets and a gas fireplace. 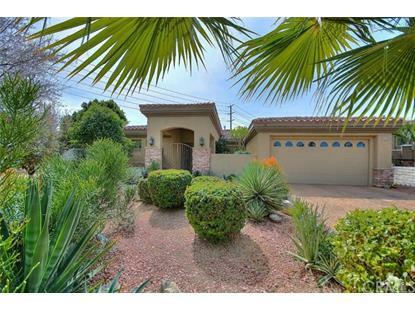 Custom French doors open to the patio with ceiling fans, music and lights. Palm Desert at it's best!